My poinsettias were colored with markers and then I added some Crystal Effects to the centers. This card was created using products that I won from Beate Johns giveaway. Thanks Beate, I love my freebies! 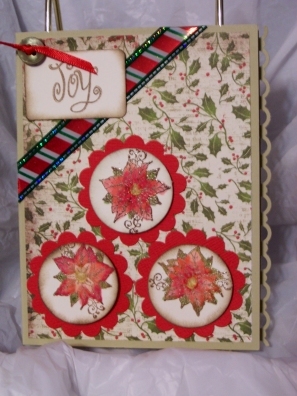 This card is entered in The Craft's Meow Sketch Challenge at Lily Pad Cardz.